No story of Ramayan can be complete without talking about the devotion Lord Hanuman had for Lord Rama. He truly showed how much love he had for his Lord. He fought the evil forces and is the epitome of all supermen that have later taken birth on earth. He remains the original source of courage for all defenders of faith, religion, trust and devotion. Till today he is recognized as the superman who has now been deified with Lord Rama. Hanuman Jayanti is an ode to his might and power. It is also to celebrate his respect and love for his Lord. People all over India celebrate Hanuman Jayanti to remember what a powerful devotee can accomplish. He shows that the same power is also within us and even we can transcend our enemies within and outside. When the moon is full during the summer month (chaitra month according to the Hindu calendar), it is earmarked for celebrating the antics of the monkey God. He is an avatar of Lord Shiva. He has the muscle power and attributes to Him are always in admiration to his physical strength. He plays a mighty part in the epic Ramayan in search of Sita and then in the ensuing battle. The stories that are narrated show that in the face of adversity how anyone of us can overcome the difficulties. It is said that Lord Brahma had asked some of the demi gods to incarnate as vanars (monkeys) to help Ram vanquish Ravaan. I due course Lord Indra became Vanar king Bali. Sugriva was actually Sun God Brihaspathi became Tara and the Wind god became the mighty Hanuman. When Hanuman was incarnated as a vanar he was also released from a curse. Lord Brahma also gave him a lot of boons. Thus from childhood he was invincible and became super human in strength. 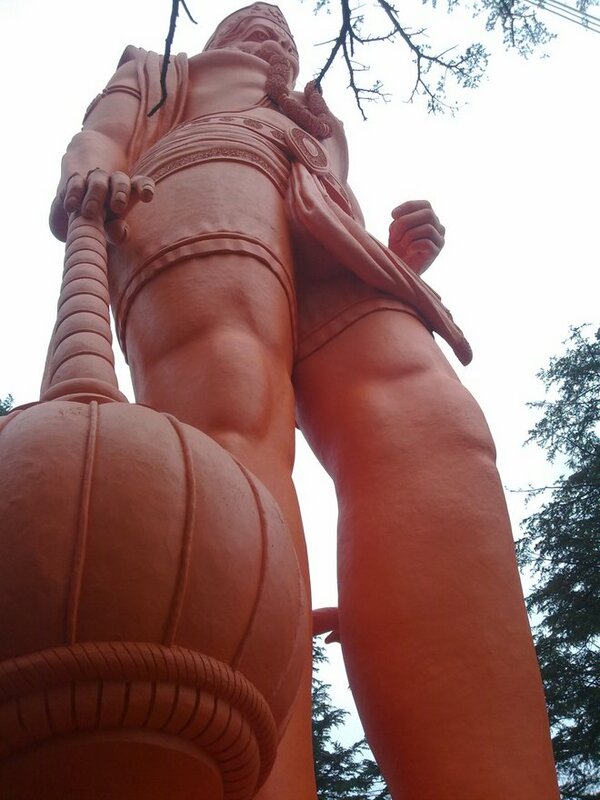 He is also called Pavan putra, Marutsuta, Bajrangbali and Mahabali. There are two days in the week that are dedicated to Hanuman-Tuesday and Saturday. His devotees keep a fast and also give special prayers on these two days. When there is trouble brewing, it is common for the bhakts to chant Hanuman’s name with fervor. Some devotees have mastered the Hanuman Chalisa and often after victory sing ‘Bajrangbali ki jai. In Chaitra month at sunrise the celebrations begin. There are many temples devoted to Hanuman in isolation. He is also found in temples where Lord Ram is worshipped. The Hanuman idol is always in an orangish hue or deep red in some areas. 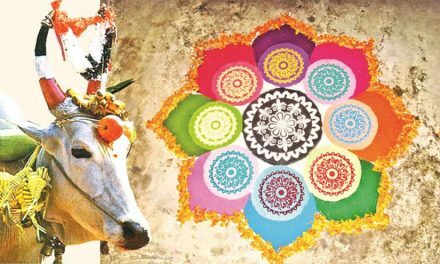 In Maharastra and also in the state of Karnataka the celebrations are done on the full moon day. When he was born was gifted and by the time he was one and a half year old he had blessings of all the gods. Hanuman had only one desire to serve Lord Ram. He was willing to do it at all costs. He was so powerful but yet he was very humble and that is one quality that makes him so important in Hindu mythology. He is so strong that he can take shape at will. He is able to rock sturdy mountains, move easily through clouds and fly at God speed. When Lord ram was in exile, it was in the forests that the two met each other for the first time. Ram was searching for his wife in vain. During their search the two brothers came to the Pampa Lake where Sugriv was in hiding. His brother Bali wanted to take his life. Sugriv thought that Ram and Lakshm had come to kill him on insistence of Bali. To know the truth Hanuman had disguised himself as Brahmin. 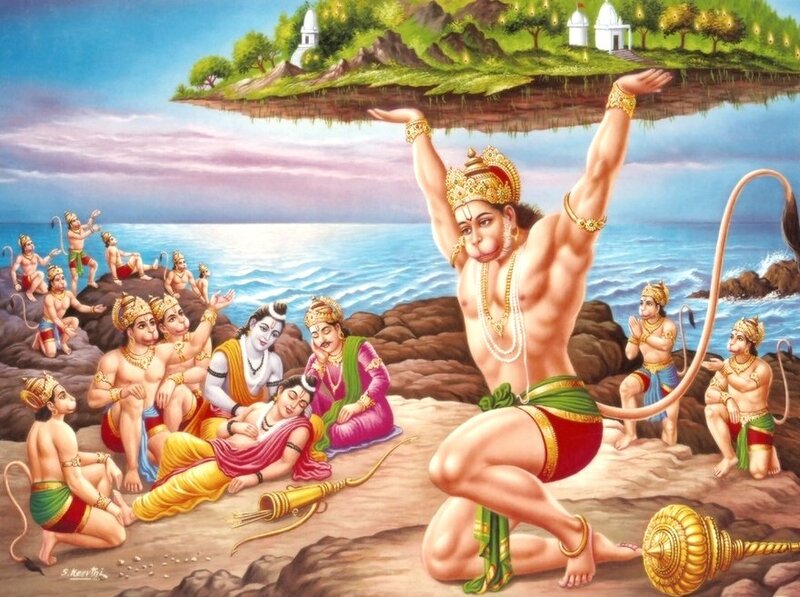 When Hanuman came to know that Ram was actually the exiled king of Ayodhya he fell at his feet. Thus began their relationship of master and servant. 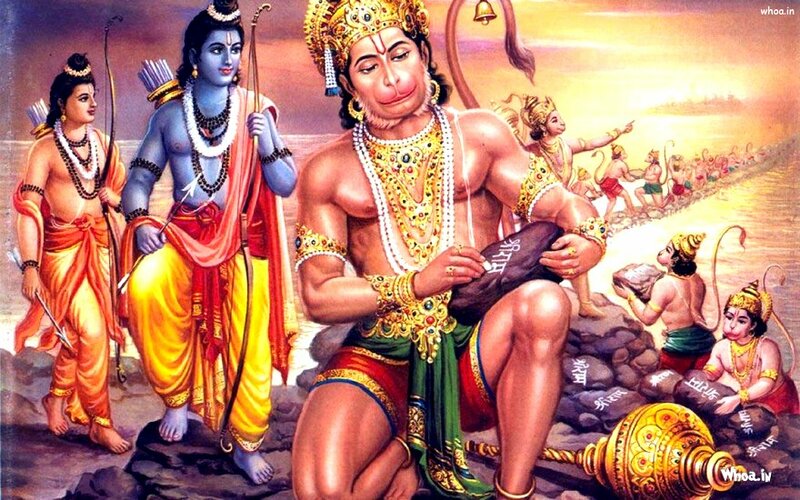 Hanuman introduced Sugriv to Lord Ram. He also got to know that Ravaan had abducted Sita and he decided to help Ram in getting his wife back. He burnt the golden Lanka of Ravaan and came back with the news of Sita to Ram. In the battle to get even with the evil king of Lanka, Lakshman had got badly wounded. Hanuman went to the Himalayas with God speed and bought back the Sanjivani herb to revive his breath. Hanuman is also mentioned in the other epic Mahabharat. He had met Bhima one of the Pandavas and considered him as a spiritual brother. Both of them had immense physical strength and were born with the blessings of Wind God Pavan. Hanuman had taken position in the flag of Arjun’s chariot during the war in Kurukshetra. He stood for balance of the senses and the mind during the war when Arjun had hesitated. Hanuman is a complete karma yogi who worshipped Lord Ram. He was a brahmachari (complete celibate). He did not marry because he wanted to serve his Lord with complete devotion. In return he did not wish to accept anything. He was able to do everything in the name of Lord Ram, cross the mighty ocean, build the bridge to Lanka and restore Lakshman’s health! Hanuman is considered a gyani who had immense knowledge of the Gods. What is also remarkable about him is that he never boasted of his super human strength or his intelligence. Even Lord Ram was indebted to Hanuman for his services. When Lord Ram enquired how Hanuman managed to cross the ocean the devotee replied, “By the power of your name and singing your glory”. And when Ram asked him how he burnt Lanka, Hanuman’s reply was, “With your grace.” Can anyone really match his devotion to Rama? We can only be pleased to walk on the same path and celebrate Hanuman Jayanti keeping in mind his ideals forever. As he became successful so will our endeavors be with the similar devotion. Informative and gives peace while reading.Requests for information and highlights of SUNDERA KANDA.By reading and listing of SUNDERA KANDA one can get lot of benefits in all respects matirially and spiritually. What are the proper timings for worship the sun with Aditya Hrudayam and watering the Tulasi plant in the morning time. If one is unable to execute in the prescribed timings, what is the alternate? Hanuman jayanti is in the month of vyshakha, not in chaitra. Chaitra is a month where hanuman has achieved the task of searching seetha matha and returned back. It is the other way around, I think. Sri Hanuman as a Vanara got many boons : immortality, immense strength, victory,…..But following the nature of Vanara, he began to play with his boons in the yagasalas – destroying the trees etc. Hence he was cursed by a Rishi to forget his strength and power in the time of need but could be released from it if he is reminded by someone of his value. Thank you very much for excellent article on Hanuman Jayanti”. I witness this being celebrated since I was 8 yrs old.Now I am 76. 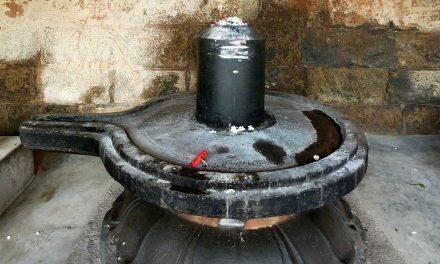 NextWhy Does Shiva Sit in the Smashana or Cremation Ground?